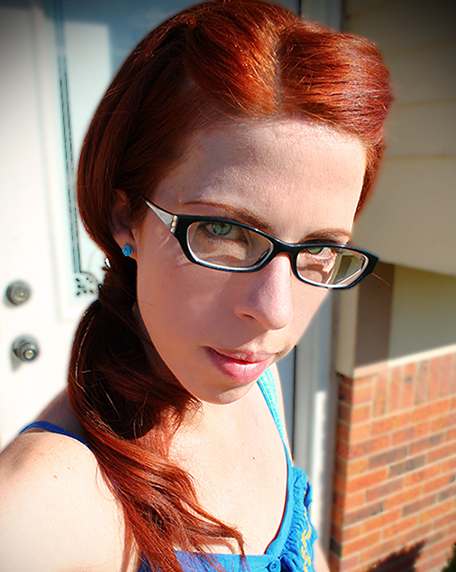 You may have heard me mention Babblings & More or seen me wear their adorable earrings in previous posts? These cute little earrings are really in right now and perfect for those who don't like to wear really dangling earrings. These are light weight and come in a large variety of colors. You can probably find many vendors who sell these but I am a huge supporter of handmade businesses and purchase mine from Babblings & More off of Etsy. The women who own the shop are very friendly and ship your orders fast! 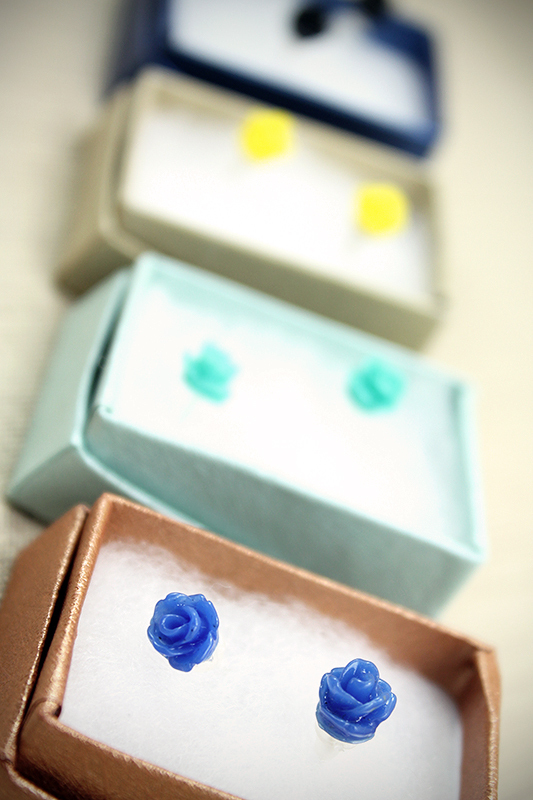 Each set of earrings comes in a small colored little box. If you order several they may even include a free pair! At 3.50-$5 a pair they are really affordable and worth the purchase! 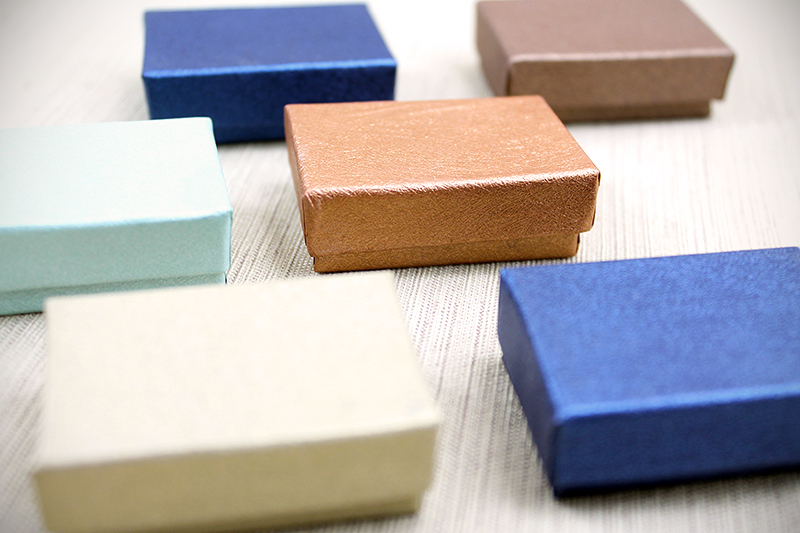 These would make a perfect little gift for any occasion. The pair I am wearing in this picture is in the color Royal Blue. 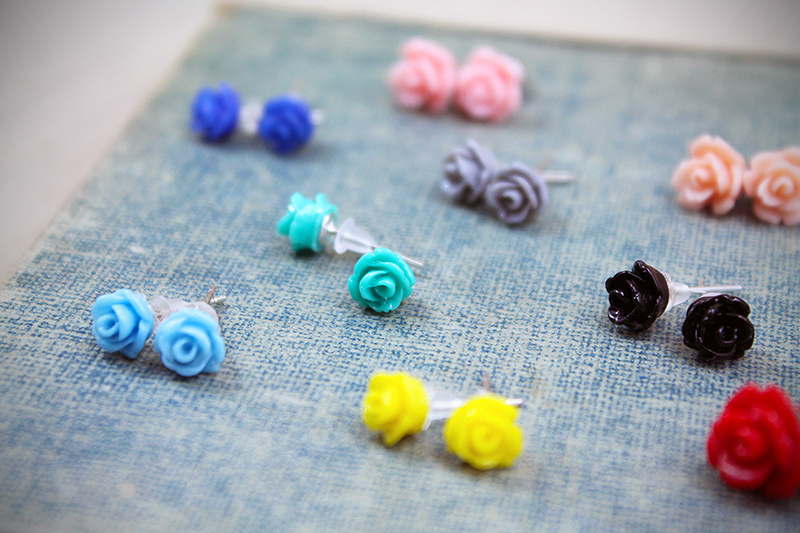 They are the smaller size 6mm. Thank you so much for the feature! We are very honored! 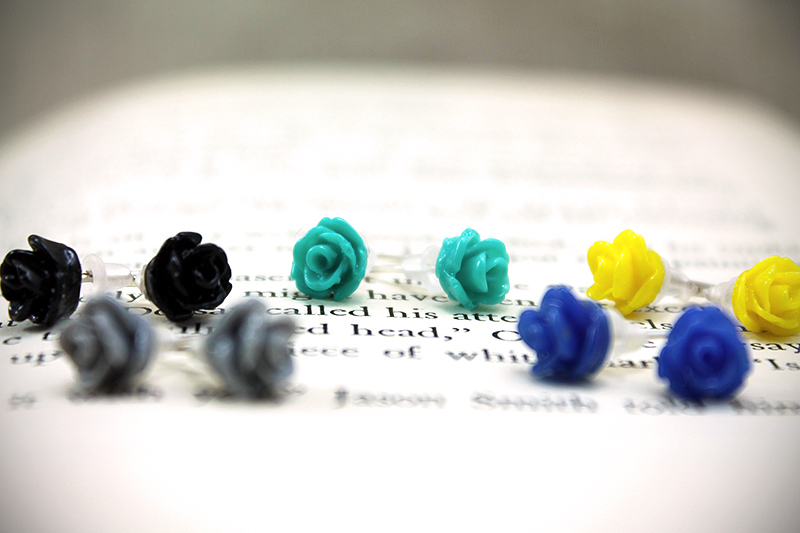 How cute are these little roses! I want them in neutral colors...like the pale pink (or is it peach? ), gray, and black. They're adorable! On their actual site they label all the colors for easier ordering. I think I actually have both pale pink & peach! LOL. These are the greatest little earrings!